Ayn Rand could not be more wrong. It is essential that the virtuous remain distinguishable from the Wicked. in particular the dilemma’s being faced by the IDF in retaliation to Hamas Terror campaign against the Civilian population of Israel, I read an interesting (and pertinent) article in today’s NZ Herald. An Israeli organisation of Ex IDF military were very critical of how the Israeli operations in Gaza were being conducted, esp the use of artillery in civilian (urban) areas as being immoral, and decried the heavy casualties being borne by the civilians of Gaza. This is a very interesting line of reasoning considering the IDF’s Code of ethics. They argue that while they respect the Israeli Defence Force’s duty to defend Israel, they insist the use of artillery is *immoral* because in their opinion artillery is an *imprecise weapon*, and therefore cannot but result in careless damage/ harm to property and Non-combatants. “Davidovich, 27, educational director for the ex-soldiers’ group Breaking the Silence, served in field intelligence during Operation Pillar of Defence, a previous Israeli war against Hamas in Gaza in 2012. He says he was repeatedly ordered to help prepare for the firing of artillery during the hostilities. As an example They said that it is very easy in the heat of battle for mistakes to occur regarding the various weights and payloads of projectiles which are being fired, which can result in ‘Bigger bangs’, or projectiles landing several hundred meters off target. They also didn’t think giving warnings prior to a strike for the civilian population to evacuate the area absolved culpability for civilian casualties, of those people whom for whatever reason ignored the warnings. I noted there was no mention of being callous with regards to civilian lives in this criticism. Spokesmen for the IDF said this group has a history of making unjustifiable criticisms, and that their comments could be used by the enemy against Israel. I have made some inquiries with experienced military personnel seeking their perspective as to whether or not modern artillery can be considered to be a precise weapon. I asked how close would they call in artillery support? To what degree of accuracy you would expect ‘the first shell’ to hit a target with GPS co ordinates? These responses add credence to the criticisms raised by ‘Breaking the silence’ that Artillery is not a prudent weapon to use in urban Gaza. Surely there would be better/ more accurate weaponry available to the Israeli commanders. 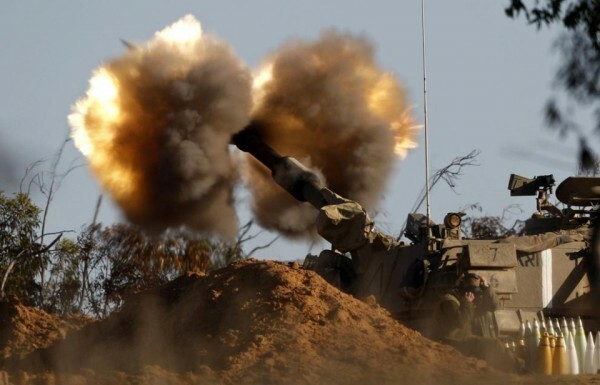 Artillery rounds may be more economical, yet because they are inaccurate, their use would suggest their use has resulted from commanders whom don’t place Ethical considerations as a priority, and so it would appear that though Hamas is undoubtedly responsible for the Lions share of Misery and death in Gaza, that sadly Israel cannot claim to be absolutely blameless. Another friend of mine suggested that Israel may in fact be using high tek Guided artillery shells. This is a very important unanswered question. The spokesman for the IDF made no attempt to argue that they were using such high tek shells, and so in absence of such assurance, I dont think Israel can consistently claim that *all Civilian casualties* have resulted from Hamas using Human shields. And this being so, the use of Artillery in Gaza means that Both sides have acted unethically… and unfortunately it is the innocent Palestinian Children whom pay the price. It is a testimony to the great liberty enjoyed by the people of Israel that ex soldiers can form an association which is vocally critical of their own military, and express compassion for the people of Gaza, and whom boldly raise such important questions regarding the ethical conduct of their own Army superiors. I would be very surprised if Hamas would tolerate *anyone* questioning their use of ‘human shields’…. weapons training of Children, etc. I would say that any brave enough to do so risks being labelled a traitor… and being murdered… swiftly. If anyone can dispute my assertion I would appreciate being corrected. Thus while I appreciate ‘the PR problem’ for the IDF when it receives criticism about it’s conduct of the battle from it’s own people, yet in truth having the liberty to criticise the government and military is in reality a wonderful testament to the liberal Civilisation of Israel, which stands in stark contrast to the Tyrannies run by it’s enemies. I also hasten to add that if the critics are correct in their assertions…. and it certainly appears that they are…. that it is extremely callous to use artillery bombardment, thus it is not the critics whom ought to be ashamed, or blamed for any PR capital Hamas gain from such public accusations *The fault lies squarely with the Military Commanders* whom are not following the IDF Code of ethics. *They are harming* the Israeli cause. What interests me most is that these criticisms are not being made by Tree hugging Liberals facebooking from Starbucks in Hollywood, but from experienced military personnel whom have seen action. Thus they ought to be *more realistic about the nature of war*… yet they seem to believe Israel could be handling things much better… resulting in less unnecessary misery and death of innocent non-combatants and their property. On the flip side it could be argued that the horrors and realities of War have so traumatised the members of ‘Breaking the silence’ that they suffer ‘Diminished capacity’ to some degree and are *not capable* of clearly appreciating what must be done… under the circumstances. Perhaps the Israeli commanders can honestly say they are conducting operations so as to achieve the objectives of the IDF with minimal loss of life, and damage to property. That to me seems a very hard sale. I do appreciate though, that when a Commander tells his troops not to hesitate blowing up a mosque if they must, he’s telling them to look out for their own safety… dont let ‘politically correct’ niceties get you killed. 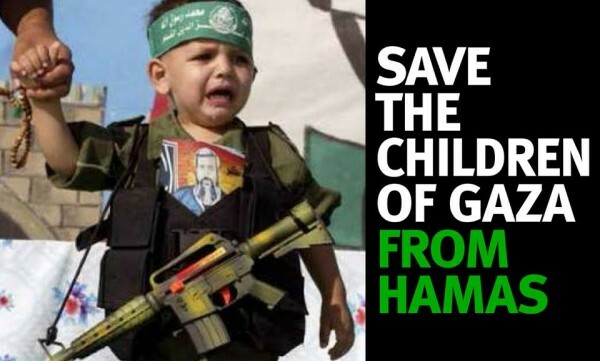 We all know that Hamas are employing despicable tactics which are war crimes… apparently a Hamas textbook on tactics has been captured which contains the Hamas rationale regards the use of Human shields. 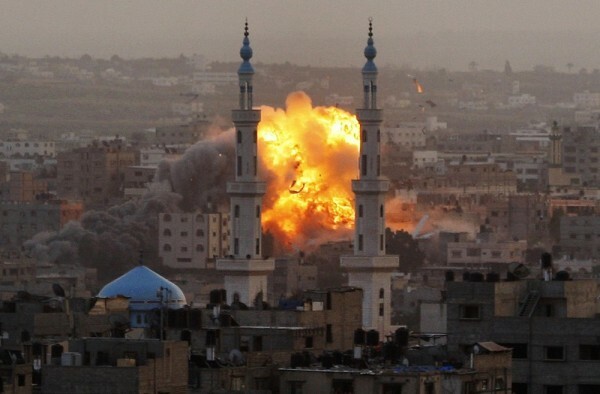 *Read about Hamas Stratagems knowing Human shields are a problem for Israeli forces seeking to minimise Civilian casualties, and for Hate Propaganda >>>Here<<< We have herd reports about Hamas preventing Gaza residents from evacuating when Israel has warned of a strike. We have seen countless photos of 'The Brave Hamas' firing their weapons from behind civilians standing in the middle of Combat... and it is inconceivable that these people would be standing there if they were free to take cover.... they are obviously told to stay put, or have their families slaughtered. Then we see Hamas Parading the Dead 'parents and children' saying "Israel is too scared to fight Hamas, and so they slaughter families instead". Hamas is fighting a despicable War of Lies seeking to breed hatred of Israel, and Isolate Israel from her western allies. And it is a testament to the foolishness and wilful, growing anti-Semitism in the West that so much of the lies of Hamas and other Fanatical Islamic terrorist groups are lapped up and endorsed by Politicians about the globe... in the UN .... even here in New Zealand by Labours Phil Goff, and (no surprise) by Mana party Leader Hone Harawera. I have no doubt that Hamas is not only the aggressor in this conflict, but is also with respect to its Anti-Semitism fundamentally a psychotic criminal organisation on a Par with Hitler’s Nazi’s. I don’t believe there can be peace with such organisations, and that Israel is fully justified in destroying them all. I am simply asking the question whether or not they are maintaining the high ground with how they conduct their military. There can be no disputing this, and it is understandable that those whom have seen war up close can become disgusted, and seek to bring the carnage to an end. 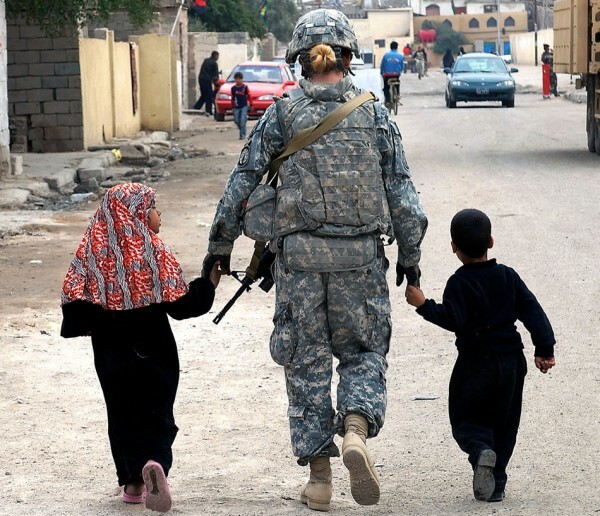 Yet it is wrong to automatically think that military commanders ‘enjoy war’… or deny that they are seeking to restore peace with minimum loss of life. 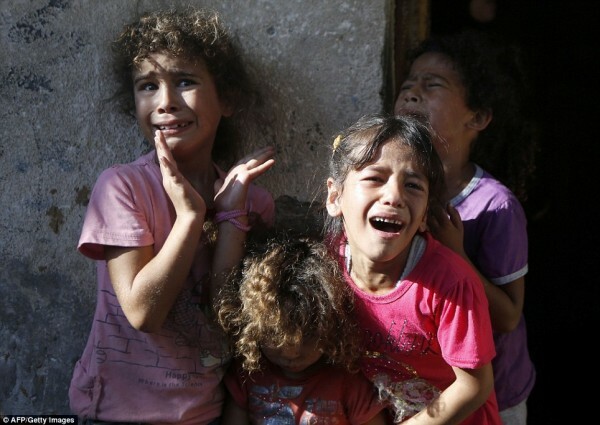 When you are dealing with the likes of Hamas… it’s always going to be an ugly barbaric affair. Innocent people will die in large numbers…. in do believe Hamas must bear the lions share for the misery of Gaza. I received another professional Military opinion regarding the use of Artillery. Mike says…. Essentially, Forward Observers will call in indirect fire as close as it is needed to safely suppress, neutralize, or destroy the enemy – end of story. The general rule of thumb for danger close is 600 meters for cannon, rocket, or mortars, 1,000 meters for naval gun fire, and 2,000 meters for MLRS. This is just a warning to the individuals who carry out these missions, and NOT RESTRICTIONS. Just because friendly troops, civilians, or sensitive structures are with in the danger close zone does not mean rounds will not be dropped. When used correctly, Field Artillery can be used as a sniper rifle that is guaranteed to destroy it’s target without putting friendly forces in danger. ^^^Thus there is a *Moral argument* which can be tabled in support the use of Artillery… suggesting it can be very accurate, reduces casualties suffered by Israeli infantry, and ultimately results in Less misery and property damage. Watch a video about what the IDF is up against >>> Here<<< Thus the terrible dilemma's faced in war by Commanders and troops is weighing up the cost/ risk to innocent civilian lives and property against the safety and ultimate success of your own troops... which ultimately could bring the conflict to a swifter end and thus save lives on all sides. One thing is certain... Hamas are the dirty dealers.... choosing to base their attacks from within the living space of the Palestinian people.... out of a sheer evil intent to gain safety for their own fighters... at the expense of the safety of the Palestinian people. Update: A clear Moral argument is presented in my later blog post>>>> Raining V2s. Proportionality of force in military law. British Army Col Richard Kemp on civilian casualties in Operation Protective Edge. Looking at the wake of WW1, and what Chamberlain was willing to surrender to Hitler under the delusion of achieving ‘Peace in his time’… and how ultimately his gullible and effeminate submission to the Evil Machiavellian brought not peace… but a monumental tyranny and oceans of Blood…. 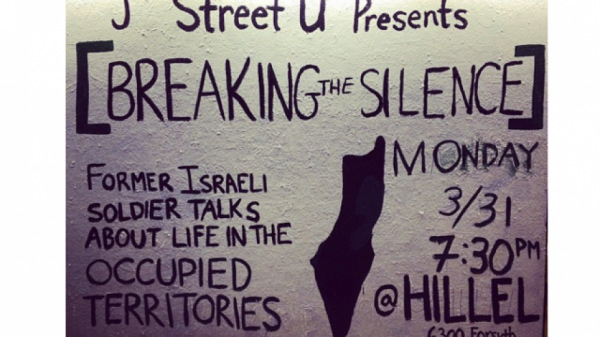 both Military and civilian… we ought to appreciate why “Never Again”… is a byword in Israel. I just hope they better maintain the distinction of what separates the virtuous from the Unholy. The IDF needs to review their strategy. Commanding a defence force against such an insidious evil as Hamas takes gargantuan Balls… and just like Winston Churchill seeking to Defeat the Nazis… and the Dresden Bombing, or The decision to Drop the A Bombs in Japan… these Actions won the War and *that Generation* was grateful for the boldness of their leaders, and had little doubt that these actions were justifiable, though later generations…. in the comfort of the Liberty they enjoy because of the Bravery and leadership decisions of the War generation… boldly label Churchill and co… mass murderers. It’s a little too easy for some of us to prance about talking about Ends and Means when we don’t carry any weight of responsibility. May God’s grace be poured out upon the Earth, and his Kingdom of Peace come quickly. The urgency of the Gospel has never been greater. *Special thanks to US Military Vets Justin, James, and Mike for their objective opinions regarding Artillery. This Blogpost has been substantially Edited due to extra information supplied to me by US Army Vets. *Special thanks to US Military Vets Justin and James for their objective opinions regarding Artillery.